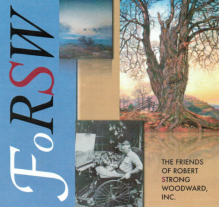 RSW- Artwork page, "The Long Bridge"
The Covered Bridge was destroyed in the hurricaine of 1938. "Varied blues and summer greens predominate. Red buildings at left. Covered bridge dark gray-brown. Water is opalescent with blues, greens, and violets, very iridescent and wet looking! Sky, broken white clouds with open spots of pale blue. River banks run down to warm dull gold." 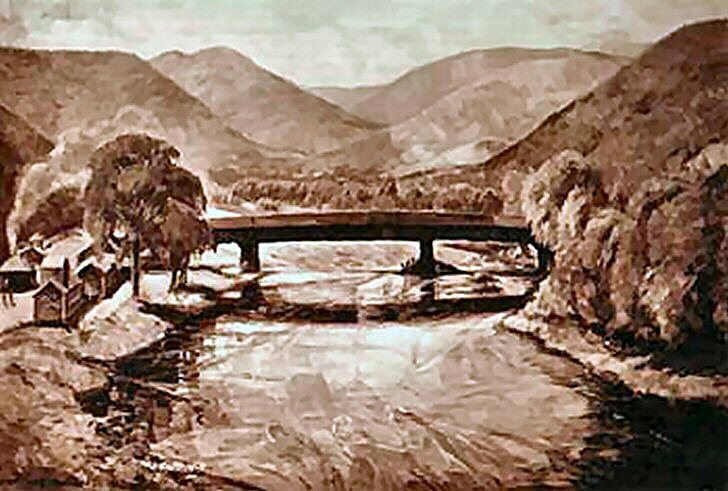 According to the diary comments made by RSW and first hand account of MLP, Woodward painted the Charlemont Bridge sometime in the mid-1930's but was not satisfied with it. It sat with his paintings to be destroyed for years. After the hurricaine of 1938 that washed out the bridge RSW pulled out the original painting of the bridge and made a new oil and chalk and destroyed the original. In at least one newspaper write-up this painting of the covered bridge in Charlemont was referred to as The Long Bridge. 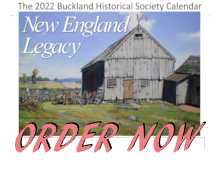 See also: Through Summer Hills, Charlemont Bridge, Down Through Summer Hills and the Chalk Through Summer Hills now hangs at Memorlal Hall Museum in Deerfield, MA. Read the Scrapbook story regarding the piece Through Summer Hills. A photo of the old covered bridge before it was taken on in the hurricane and flood of 1938.